Possibly one of the cutest launches I've ever had the pleasure of attending, the launching of Barbie's dream closet in Sydney! Media, bloggers and aspiring mini-fashionistas were out in force to celebrate all the styles that made that famous blonde girl our favourite childhood friend. 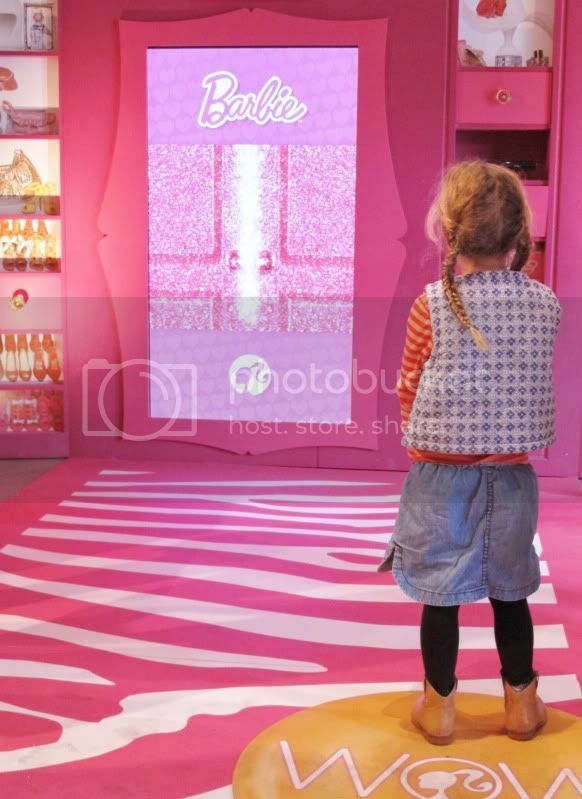 An interactive live wardrobe that let's you try on Barbie fashions along with your own star photo in that style! What a perfect event, having just walked off a 10 hour flight home it was only Barbie glamour that could perk me up and make me feel like I was a kid again! 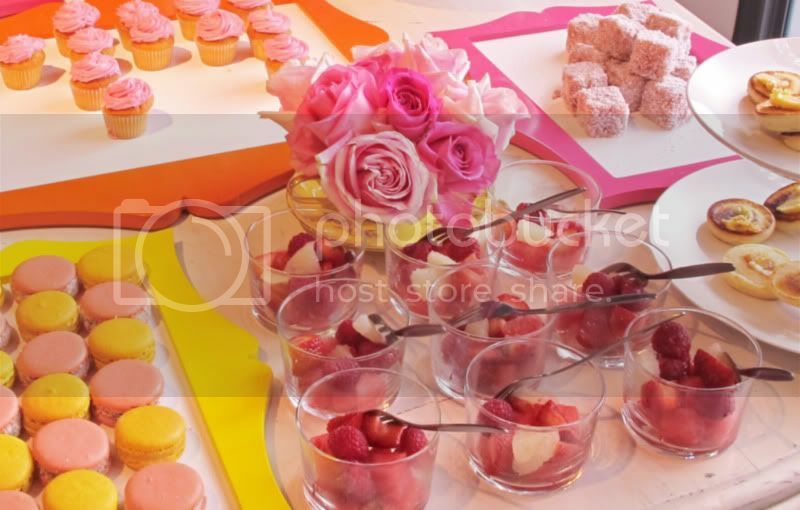 The room exploded in pink and it looked amazing with everything from pink lemonade, pink cupcakes, pink roses, home-style jam cakes and pink macaroons. The queue to try on Barbie's wardrobe was huge, not to mention after the kids had a go the adults queue was even longer. Such a girly morning and what a nice way to kick-start this fabulous idea! Bloggers Flourished and Sunkissed, Xssat and Me! And those treats look delicious! aaaaaaaaa i know i'm too old for Barbie but i still do love her :) envy you! :) lovely photos! I love Barbie!! Who doesn't! 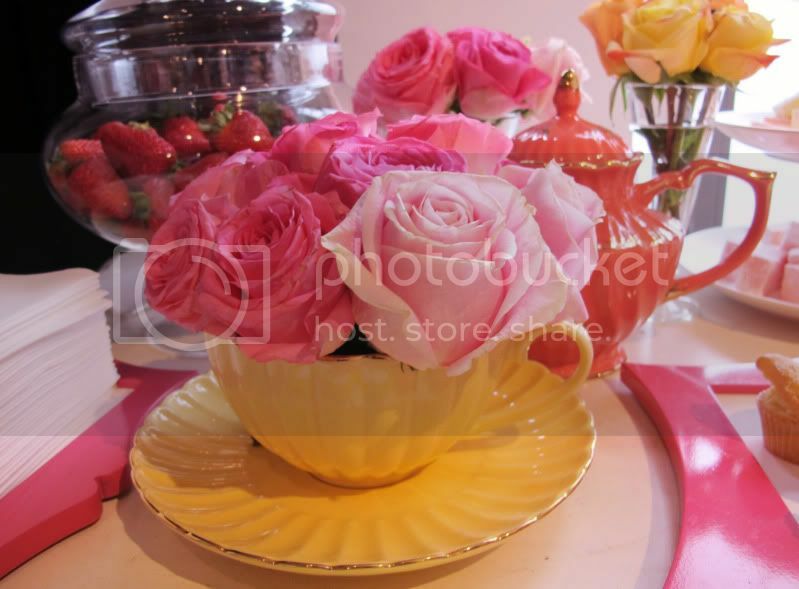 I wish I could have gone, nothing better than a Barbie high tea! wow such a nice event, love the game doors, where those little girls see barbie dresses. following back here on gfc and also via bloglovin #8, follow me on bloglovin too if you like it. see you soon. How beautiful it was! Lovely photos, thanks for sharing them. Beautiful pics, it must have been a great experience!! Great pics dear! Mind to follow each other? wowwww fantastic photos :) so great meeting you! loving your blog, such vibrant posts! looks like it was a fantastic event! love ALL THE PINK!!! What a fun you had!! I really like the post. I think people should go through it. Thank you.